Cold, runny nose, wheezing and coughing can make anyone feel irritable, but the truth is that in this changing weather one is highly susceptible to catch seasonal infections. Our immunity is weak and one must take all precautions they can to keep these infections at bay. Fortunately, there are plenty of desi home remedies that can help us do that. One such healing food is honey. Honey is often dubbed as a natural antibiotic; it is enriched with essential vitamins and antioxidants. Honey is also a good source of vitamin C, D, E, K and B complex and beta-carotene. It can do wonders for your immunity and heal chest congestion, cold, and respiratory problems. Till today, a lot of children are given a teaspoon of honey each day, as it is said to shield them from seasonal ailments like cold and cough. 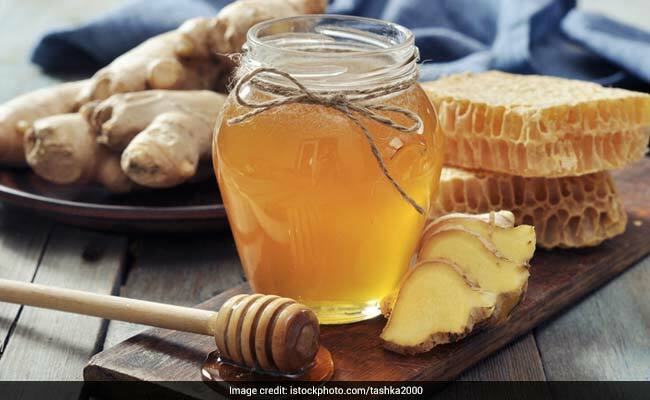 According to the book, ‘Healing Foods’ by DK Publishing House, honey “can be as effective as the cough suppressant diphenhydramine, and may help children sleep better. Types of honey shown to work well for coughs include buckwheat, eucalyptus, citrus, or labiatae (mint family) varieties. The antimicrobial properties of manuka honey make it a good choice if you or your child has a cold”. According to Ayurveda, you must never cook honey as it hampers the nutrient quality of the superfood. You can tuck it in raw, or even add a spoonful of it on top of your smoothies and cereal bowls. One of the most trusted ways to consume honey is mixing it with water. If you want you can also add a pinch of lemon juice into the mix. This concoction is packed with vitamin C that helps prevent free radical activity and keeps you immune. Honey water with lemon is also known to boost metabolism and aids fat loss. 1. Take a glass of water. 2. Add a teaspoon of honey to it. 3. Give it a good mix. 4. If you wish, you can also squeeze half a lemon in the drink. The citrus-y flavour takes up the vitamin D level of the drink a notch higher.